Wells Fargo has uncovered up to 1.4 million more fake accounts after digging deeper into the bank's broken sales culture. The findings show that Wells Fargo's problems are worse than the bank previously admitted to when the scandal began almost a year ago. Wells Fargo (WFC) now says it has found a total of up to 3.5 million potentially fake bank and credit card accounts, up from its earlier tally of approximately 2.1 million. In other words, there are two-thirds more fake accounts than previously realized. About 190,000 accounts were slapped with unnecessary fees for these accounts, Wells Fargo said. That's up from 130,000 previously. 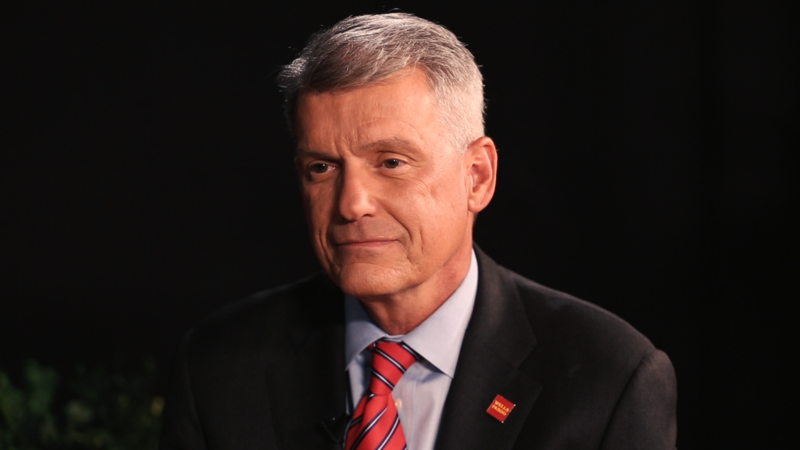 "We apologize to everyone who was harmed by unacceptable sales practices that occurred in our retail bank," Wells Fargo CEO Tim Sloan said in a statement. The bank also promised to pay $910,000 to refund customers for the 528,000 potentially improper online bill pay enrollments. The review of online bill pay was required by the September 2016 settlement. Senator Elizabeth Warren, a fierce critic of Wells Fargo, called the discovery of more fake accounts "unbelievable" on Twitter. The Democrat renewed her calls for Congress to hold more Wells Fargo hearings and for the Federal Reserve to remove board members who served during the scandal. "I don't know what they're waiting for," Warren said. Wells Fargo declined to comment on Warren's tweets, but said its management and board have "taken many steps" to "make things right," including installing new leadership and holding executives accountable by clawing back compensation. The Federal Reserve didn't respond to requests for comment on Warren's tweet. Federal Reserve chief Janet Yellen said in July that the Fed does have the power to oust directors "if it proves appropriate." The @federalreserve should remove every @wellsfargo Board member who served during this scandal. I don't know what they're waiting for. Jaret Seiberg, an analyst at Cowen Washington Research Group, predicted the latest news means the political and legal "spotlight will continue to shine brightly on Wells Fargo." "Every new disclosure seems to expand the scope of the bank's troubles, which creates the perception that the scandal is getting bigger rather than going away," Seiberg wrote in a report on Thursday. Wells Fargo is struggling to put the fake account scandal that began last fall behind it. New allegations of harming customers have rocked the bank in recent months. Wells Fargo has also been accused in a recent lawsuit of ripping off vulnerable mom-and-pop businesses on credit card fees -- an allegation that the bank has denied. Wells Fargo urged customers who believe accounts were opened in their name to call a dedicated hotline: 1-877-924-8697.